The Christian-Democratic Party (PDC) in Geneva had been steadily losing ground since 1993; its parliament members dropped from 14 to 11. An analysis of the party’s image revealed that there was a large pool of potential voters that the party needed to tap into. These potential voters were politically close to the PDC, but didn’t associate their ideas with that party. The goal was then to regain votes with a bold campaign that would be the talk of the town, and based on a strong and honest communications strategy. The idea was to give extraordinary visibility to the PDC, its platform and its candidates. Our communications plan was very efficient and inspired by the best case studies. We wanted Luc Barthassat and Serge Dal Busco to enter the Geneva government and for the 46 other candidates to enter the Geneva parliament. In times of elections, numerous political campaigns tend to adopt relatively standard communications strategies. There are many rules and constraints that have to be taken into account; at the same time, the campaign has to spark the voters’ interest and give exposure to the party’s ideas and platform. Our motto was to break codes, walk off the beaten paths, and create surprises. We developed a bold concept—the “truth campaign.” The candidates were presented as they are in reality, without frills, make-up, or digital touch-ups. We took the opposite road from American show-off campaigns with flashy, arrogant and frozen smiles that have lost all power to convince. Refocus on core qualities, honesty, natural and humane traits. Emphasize the leadership qualities, seriousness and intelligence of the candidates. We chose black and white portraits that reveal the raw and real nature of the candidates. This bold decision captures the personal and incredibly human traits of each personality. It also shows the convincing power of those who want to dedicate themselves to the city of Geneva. Refute the wrong and stereotypical image of a party (weak and lacking stature). We decided to show candidates that are engaged, energized, elegant, and who have leadership qualities. With this in mind, we created a design that is clean, classy and aesthetically appealing. No traditional group pictures in which numerous faces blend with another and cannot be identified. 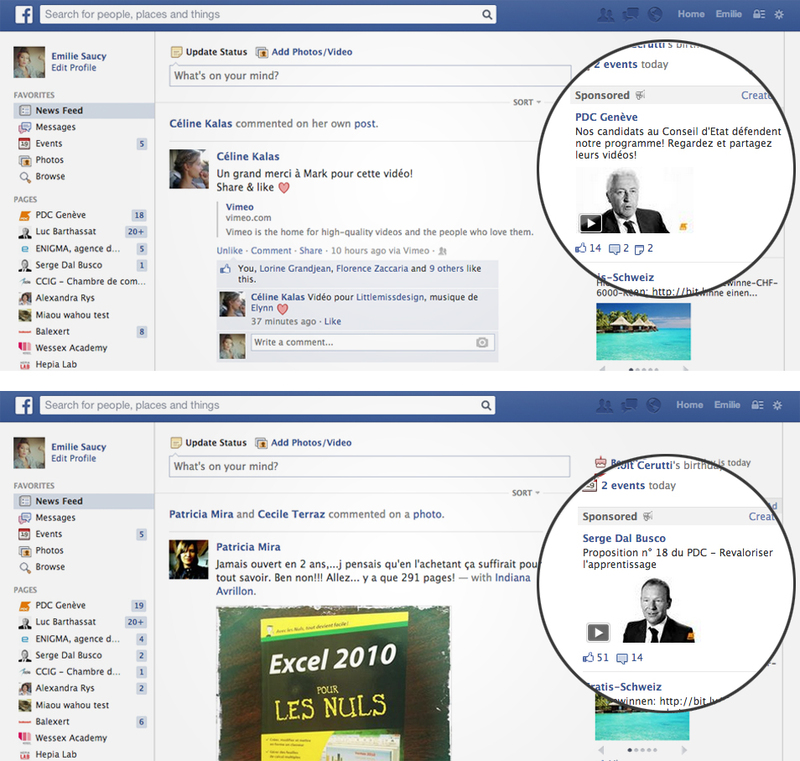 Each candidate and each personality received attention and exposure. Rather than go with half-baked ideas, we decided to be daring and to speak out, whether people liked it or not. The Geneva canton does not only include the city of Geneva. We wanted to show this very concretely. Serge Dal Busco scored a nice 3rd place with 35,309 votes, behind Pierre Maudet and François Longchamp. Luc Barthassat followed closely in fourth place with 33,863 votes. Both PDC candidates confirmed their excellent ranking in the run-off and were elected. The party won an additional seat in the government. The PDC maintained its 11 seats; not only does it stop falling behind, but it also gains 0.69 percent of the votes. 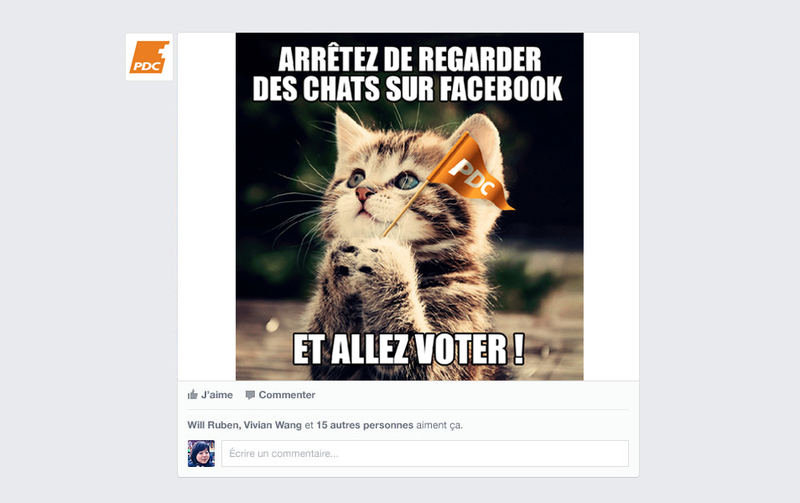 The PDC’s communications campaign generated a lot of conversation on Facebook, in the daily newspapers Le Matin and La Tribune de Genève, as well as on many blogs. 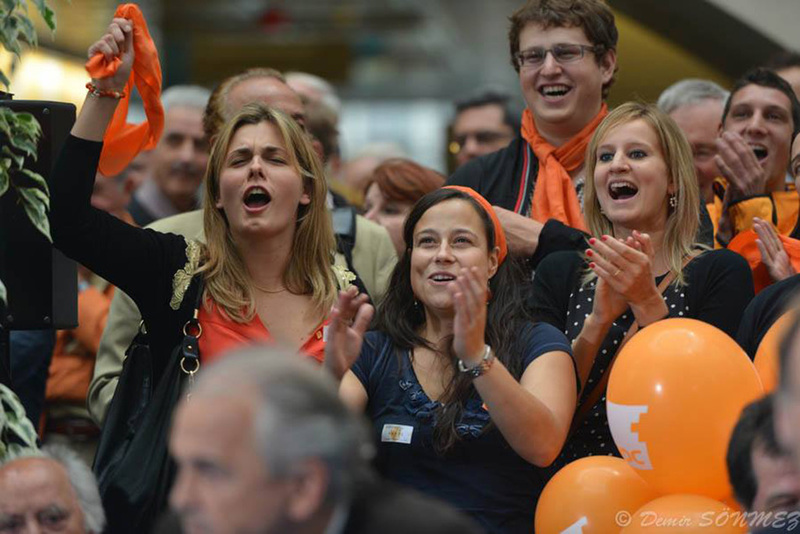 With their personality, charisma and ideas, the candidates to the Geneva government and parliament managed to rally the Geneva population around them.